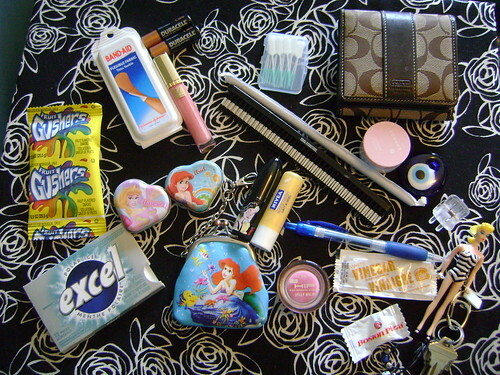 Al's Loves: What's In My Purse? I love seeing what is in other peoples bags, I think it shows a lot about people especially when if its clean/messy and if they have tons of random stuff. I think if you look in my purse it shows I'm just a big kid at heart. 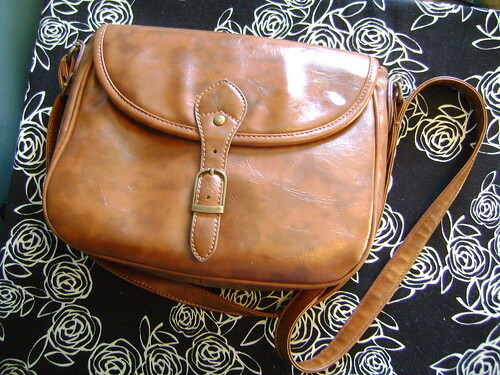 The bag was $12 on sale at Von Maur and I think it was originally $35 about two years ago. I use it everyday and if you had seen it sans cleaning, you would see movie ticket stubs and concert tickets and lots and lots of receipts because I never empty my purse ever. Vinegar and a Straw from Harveys ...?